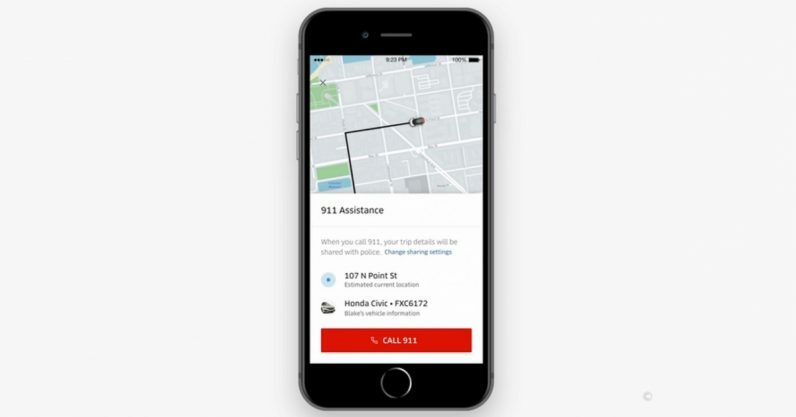 Uber today pushed out a special option within its app that allows US users to contact emergency dispatchers immediately, potentially sharing their location as well. According to The Verge, the “panic button” has been added to the safety center menu on the app’s main page, and is labelled: “911 assistance.” After confirming you intended to do that (presumably to cut down on pocket dials), the app will link you with emergency dispatchers. It was tested earlier in India and is now rolling out in the US. In some cities, Uber is also testing location-sharing. Dispatchers will receive information on your trip, as well as your driver’s car. Uber’s new CEO, Dara Khosrowshahi, is taking steps to address the company’s questionable (shall we say) reputation when it comes to safety. Earlier this year, it came to light women accusing Uber drivers of sexual assault were attempting to free themselves from the company’s policy of forced internal arbitration. This month, Uber announced it would no longer hold individual victims to that policy, nor would it require them to keep their silence after the fact. But we didn’t stop there: we’ve added a feature that allows riders to share live trip information with up to five trusted contacts, so there are multiple sets of eyes on each ride. And we’re rolling out a new emergency button in the app that can automatically communicate the car’s location to a 911 center. Having the panic button call 911 for you begs the question of why someone wouldn’t just call 911 themselves — and I’m sure, for most, that’ll still be their first instinct. Still, there are a couple of advantages to having the option baked into the app as well. First, if you’re in an Uber, then there’s a good chance you’ve got the app open already. Whenever I’ve used an Uber, I keep the app open just to make sure the driver is actually heading to the destination (no offense, former drivers). So if for some reason they started heading someplace I didn’t ask to go, it’d be much more expedient for me to swipe once to get to the option, as opposed to pulling up my keypad and dialing 911 — and this is a situation where expedience is key. Second, Uber’s ability to track its drivers and riders may prove invaluable for helping dispatchers find you in a crisis. After being taken to task for allowing such extensive data to be used for ill — it was only recently the company stopped giving drivers a complete record of every passenger’s pick-up and drop-off points — it’d be good to see such data put in the hands of those who might use it for positive ends. And hey, one can never be too cautious.